Winning the lottery on the funniest day of the year takes a little more convincing for many lotto winners. The first of April just happened to be a Saturday this year, have you fallen for any pranks lately? Some people are quite good at setting up practical jokes to very smallest of details, whether it’s a marriage proposal, moving to another country, a breakup or even winning the lottery. No surprise here that lotto winners would think that someone may be pulling their leg. 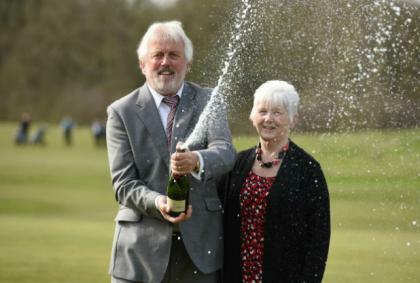 Just a day before April Fool in 2015, a retired couple from Lincolnshire won a jaw- dropping £53 million, having played the Euromillions lottery. Richard and Angela Maxwell, the lucky winners thought that someone may be playing a prank on them being so close to the first April. Richard Maxwell checked the lottery results online while taking a break from gardening. Once the lotto numbers showed up onscreen, the lottery news was hard to believe. The lucky millionaires spent their lottery cash reward on a luxury holiday to New Zealand, a new minibus for local pensioners. The couple’s bucket list included a brand new shiny Range Rover, designer shoes and handbags. It turns out Lincolnshire is a lucky town for the Maxwell couple, who will continue to play lotteries online especially the Euromillions for the rest of their lives.